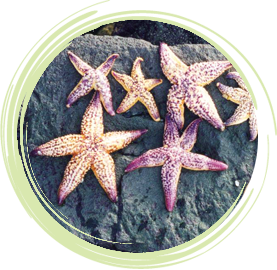 The translocation or introduction of non-native species to a habitat is posing a serious threat to the continuing health of our marine habitats and ecosystems. Not all species will survive in their new habitats but introduced species have the potential to establish breeding populations, which will compete for food and shelter with our native species. This competition can devastate the native species, upsetting the natural balance of the ecosystem. This unbalance can have implications for the marine environment in the area and any industry that relies on these stocks. The most effective way to prevent further translocation of non-native species is through education. Early detection and monitoring of introduced species are vital tools in eliminating and controlling further spread of these aquatic invaders. Learn to identify known aquatic pests – but be careful, some are similar to our native species. Further information on identifying pests and diseases can be found at the Fisheries website.